England remains a profoundly unequal country with more than eight years separating the male life expectancy of the richest people in the south and east from the poorest in the north, a new study has found. While great progress has been made in improving male and female life expectancy since 1990, the comprehensive Global Burden of Diseases, Injuries and Risk Factors (GBD) study found that the health gap between rich and poor has barely altered in 25 years. 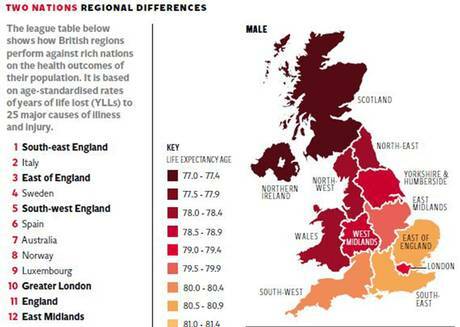 The figures, published in The Lancet, show that if the healthiest region of England, the south-east, were a country it would top a league of 22 industrialised nations for its health outcomes. But if the north-west were a country, it would be in the bottom five. Living beyond 100 will become the norm for children born within the next generation, official projections show. According to estimates published by the Office for National Statistics the average life expectancy for newborn girls in the UK is on course to reach just under 97 years and four months within just over two decades. Baby boys born in 2037 will expect to live until 94 years and four months on average – with many living much longer. 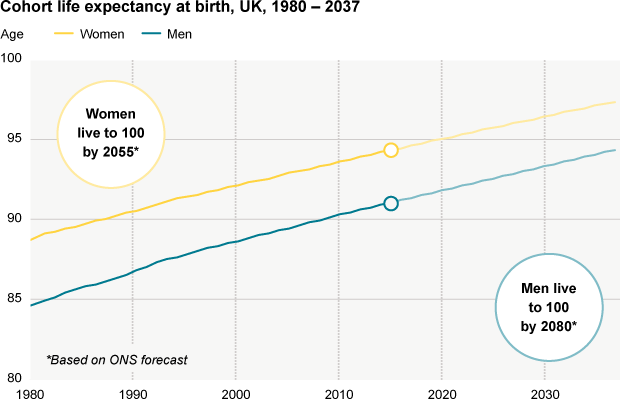 The projections, contained in a new report analysing the make-up of the British population, means that typical life expectancies would have increased by around a decade since the 1980s. 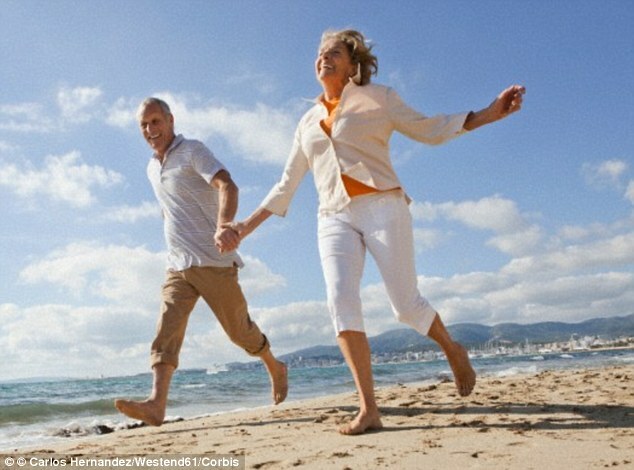 It is also now predicted that average life female expectancy will reach the once unimaginable milestone of 100 in 2057. 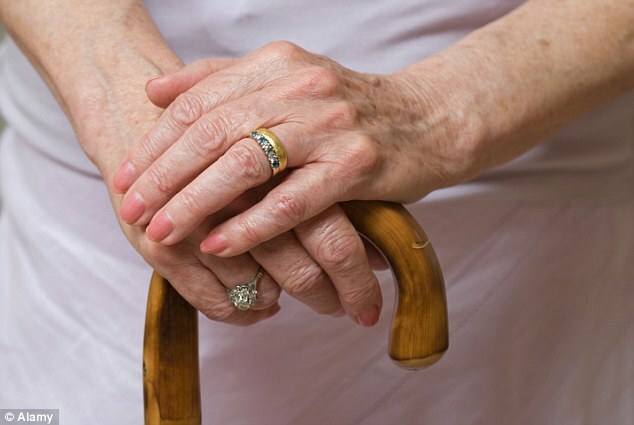 Health officials are investigating a sudden fall in life expectancy amongst the elderly which is particularly stark in women. There is concern it has been triggered by declining hospital care, a lack of GP appointments and cuts to home-help. The alarm was raised by public health bosses in the North West who noted that that life expectancy aged 85 was ‘going backwards’. And the trend was particularly pronounced for elderly women where, in one local authority, it had dropped from living a further 6.8 years aged 85 in 2011 to just 6.5 years. Public Health England – the Government agency responsible for preventing early death – confirmed the fall in women’s life expectancy had occurred across the country and it was carrying out further analysis to establish the reasons.But senior doctors and MPs are worried it is the beginning of a long-term trend brought about by cuts to the NHS and social care. The email which triggered the investigation – leaked to Health Service Journal – was sent by Dominic Harrison, Director of Public Health in Blackburn with Darwen council, to Public Health England at the end of last month.